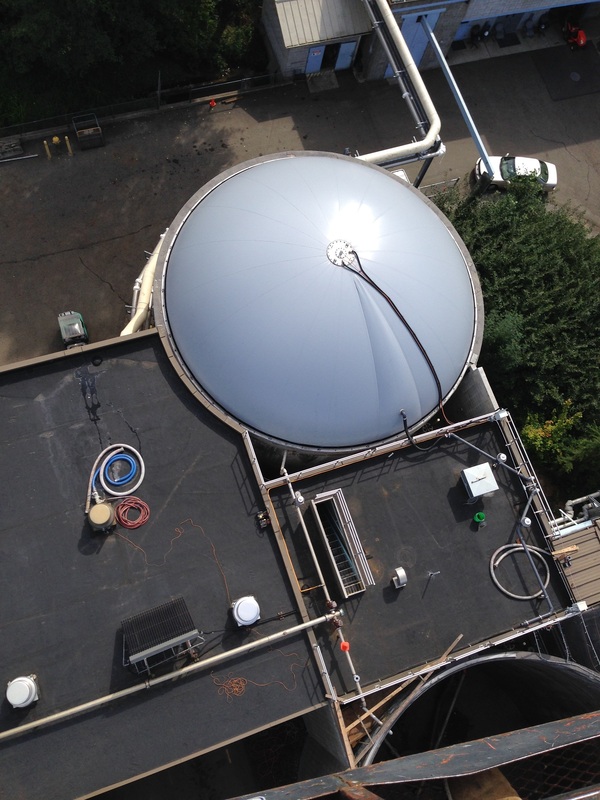 Our Biogas division recently completed two 40′ diameter ‘tank top’ membrane roofs for municipal sludge digesters at South Kitsap, West Sound in Washington State USA. These roofs were a completely bespoke design that avoided the use of problematic restraint cables, a strict requirement for this particular project. 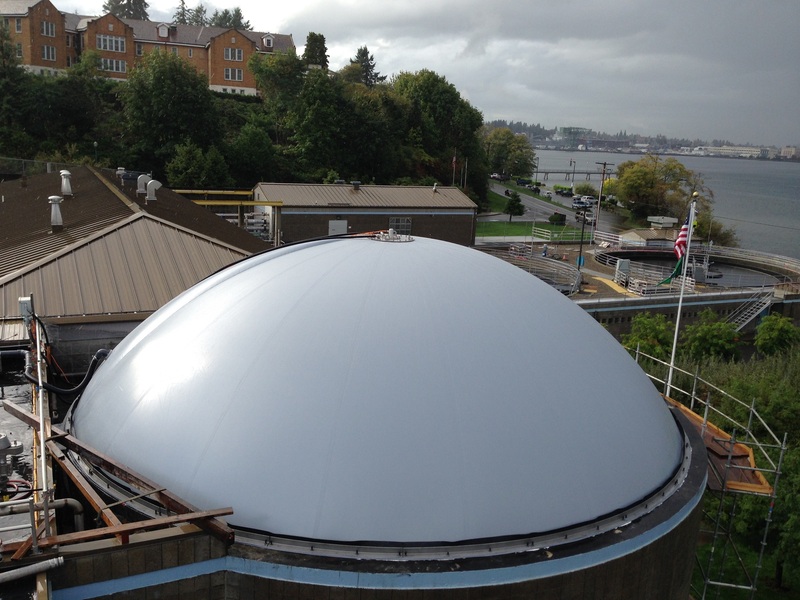 The roofs were designed and fabricated in-house at our production facility and shipped by sea for installation by our American partners. 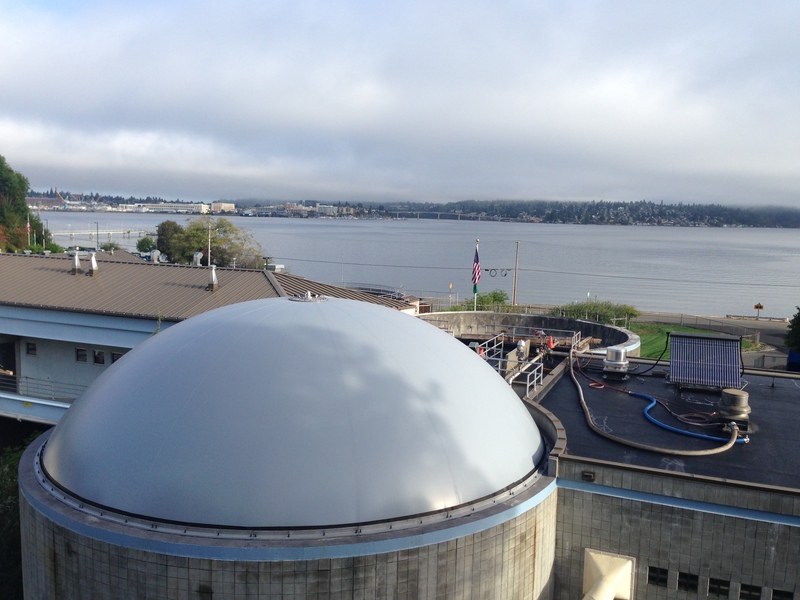 The roofs have been in use since July 2015 and the client is reportedly extremely happy with the entire project. 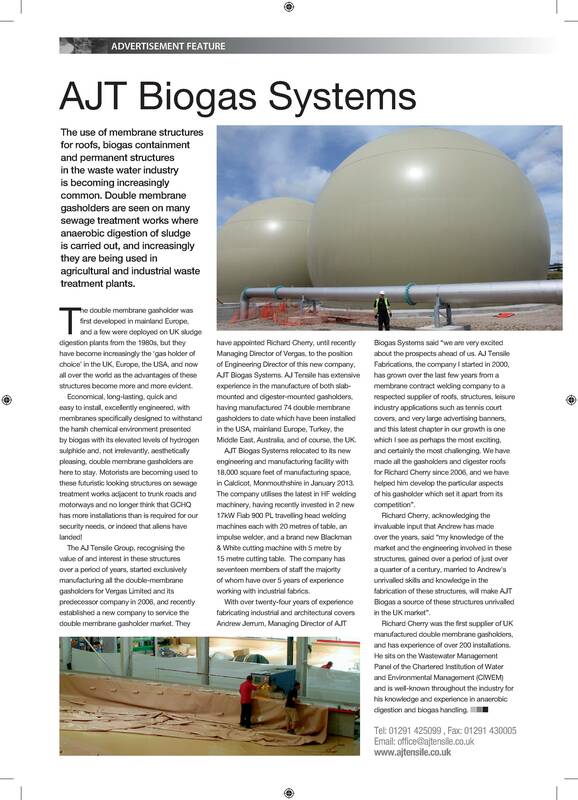 Click the ‘downloads’ tab at the top of the page or click the link below to download a PDF version of our Biogas brochure. The file size is 1.6MB.